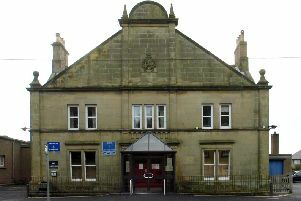 The Border General Hospital near Melrose in The Scottish Borders. The findings of a damning watchdog report into the care of a terminally ill man at the BGH have been “fully accepted” by NHS Borders. The pain-ravaged patient, who had lung cancer, was suffering a heavy nose bleed when he was admitted to the hospital. He discharged himself the following day and died at his home three days later. After an investigation, the Scottish Public Services Ombudsman (SPSO) has upheld a complaint relating to the man’s overnight stay in the medical assessment unit (MAU). The watchdog has described the overall care received by the patient – referred to as Mr A – as “unacceptable and poor practice”. The complaint, raised by his partner (Ms C), alleged he was not given adequate pain relief, even although he had brought his own medication, and was shown a lack of compassion by staff. The SPSO took independent advice from a consultant in acute internal medicine who noted Mr A had been on the MAU ward for two hours before a medical review took place. “My adviser considered pain relief should have been provided earlier…there was also no record of pain assessment in the MAU overnight,” states the ombudsman. “The advice I have received is that Mr A, who was in acute pain and terminally ill, appears to have received inadequate pain control and was left in pain for a considerable period. “In his view, this led Mr A to discharge himself from hospital, leaving his symptoms untreated and with no investigation into the cause of his pain. Therefore he was potentially put at significant risk of harm or death”. The watchdog also engaged an independent nursing adviser to investigate the “lack of compassion” allegations. “The advice I received identified a number of serious failings in Mr A’s nursing care and found that, overall, the nursing care he received in the MAU was unacceptable and poor practice,” states the SPSO report. “My nursing adviser found that nursing staff had failed in their duty to appropriately assess, monitor and alleviate his pain. My adviser considered that Mr A must have been frustrated not to have his severe pain relieved despite having his own medicines with him which he should have been allowed to self-administer. Evelyn Rodger, director of nursing and acute services with NHS Borders, said: “We fully accept the recommendations of the SPSO in this case. We have apologised to the patient’s family for the distress caused.